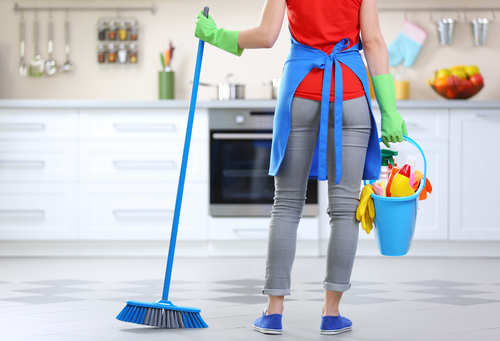 Cleaning Services Singapore: When Do You Need Professional House Cleaning? When Do You Need Professional House Cleaning? Any home needs to be clean, regardless of the size or location. Whether you live in a studio apartment or your own home, you must maintain cleanliness. While some might choose to do it themselves and carry out the necessary cleanliness in their homes, others prefer hiring a professional house cleaner. So which is the best option? Doing it yourself or hiring a professional? Both are applicable, depending on the situation. 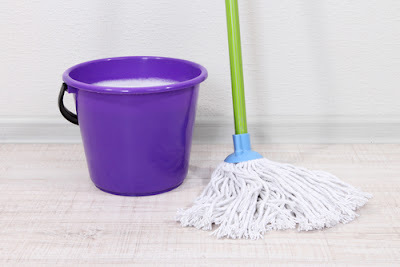 At some point, it is okay to carry out the basic house cleaning duties, while in other situation, you are going to need the help of a professional. Here is a guide to help you determine further. First off, you need to consider if you have the time to do all the necessary cleaning in the house. To determine if you do, you will have to consider the size of your house or home. If the house cleaning entails the entire home, then you might be required to shift the work to the professionals. The size of the home also covers the number of rooms inside. Suppose you have pests in the house, the cleaning will have to be thorough. So basically, if you don’t have the time to handle the entire house cleaning by yourself, then consider hiring a professional. 2. Do you have the necessary skills? While cleaning the house might seem easy, it actually needs some knowledge and skills at some point. For instance, some materials or furniture in the house will need to be handled with care when cleaning. If you clean them with too much force/pressure, you might damage the surface. Also, some fabrics and materials are extra delicate and should not be cleaned using toxic products. So if you make a mistake of using toxic cleaners, you will end up causing a lot of damage to your property. Here is where you need the assistance of a professional house cleaner. The professional cleaner has the necessary skills and experience to finish the work in the shortest time possible while still maintaining the quality of your property. 3. Do you have the right supplies? You should consider if you have the proper cleaning equipment and products. 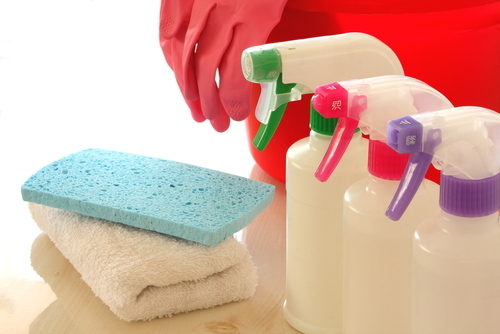 Unless you have the right supplies to handle the house cleaning, it might not be easy for you. On the contrary, a cleaning company will be equipped with the necessary products that facilitate the cleaning process. You will not have to purchase any product when you hire the professional cleaner. Some situations might be risky to manage if you were to clean the house on your own. 4. How dirty is the house? Yes, you might have a big home, but it might not be that dirty. For that, you need to consider the level of cleaning needed in your home before you make your decision. If the house is extremely dirty, you might have to hire a professional cleaner to make things easy for you. Now that you have weighed the conditions and determined if you need a professional cleaner or you can handle it for you, the major factor to consider is the type of cleaning project you have. Some cleaning projects are easy and will not even take more than an hour of your time. • Cleaning and wiping surfaces. You will need to maintain a clean house by conducting a regular cleaning. If there are debris or spills in your house, you don’t need to contact a professional cleaner to wipe it off for you. • Dusting. This is another easy task that you need to do as regularly as possible. Don’t leave the dust to be too much in the house then call a house cleaner to fix it. You can do this twice or thrice in a week, just to maintain your house cleanliness. • Sweeping, vacuuming, or cleaning the floor. If you have a vacuum cleaner in the house, make use of it and keep your floors clean at all times. Even if you have the regular brooms and dusters, make use of them to keep the floors clean. • Making the bed. You really don’t have to leave your bed untidy and wait for the professional cleaner to make it for you. That is just being lazy, and it would cost you money for no reason. Whenever you get off the bed, make sure you make it and tidy up the bedroom. Also, change the sheets regularly for health and hygiene purposes. • Cleaning the toilet and bathroom. These two areas need to be clean at all times. They are very sensitive areas when it comes to the hygiene. Ensure that the toilet bowl is clean whenever you step in the bathroom. To make things easy for you, ensure that your bathroom is equipped with all the necessary supplies. Any basic cleaning should be done by you to save time and money when there is the need to hire a professional cleaner. • Cleaning the carpet. Some carpets are delicate and heavy, and they need to be handled by a professional. So if you have such carpets in your home, consider hiring a professional house cleaner. • Blinds and Drapery. Drapery, Blinds, and shades tend to gather dust and dirt that might need a deep cleaning. Regular dusting might not be the best option for them. So consider hiring a professional cleaner to handle your blinds, drapery, and shades. • Upholstery. For things like sofas, and other delicate furniture, they need to be cleaned professionally. Your house cleaning expert will handle them accordingly, and might even educate you on how to clean them when you can. • Windows. You might want to contact a professional cleaner to handle your windows. • Special equipment. Some appliances like barbecue or gas grills might require deep cleaning, which can be handled easily by a professional cleaner. Generally, you will need to hire a professional house cleaner when the situation seems delicate and if it will take too much of your time. Also, if you don’t have the right supplies, consider hiring a professional. When hiring a house cleaning company, ensure that they are the right people to welcome to your home. They must have proper skills, experience, good personality, and the right supplies.